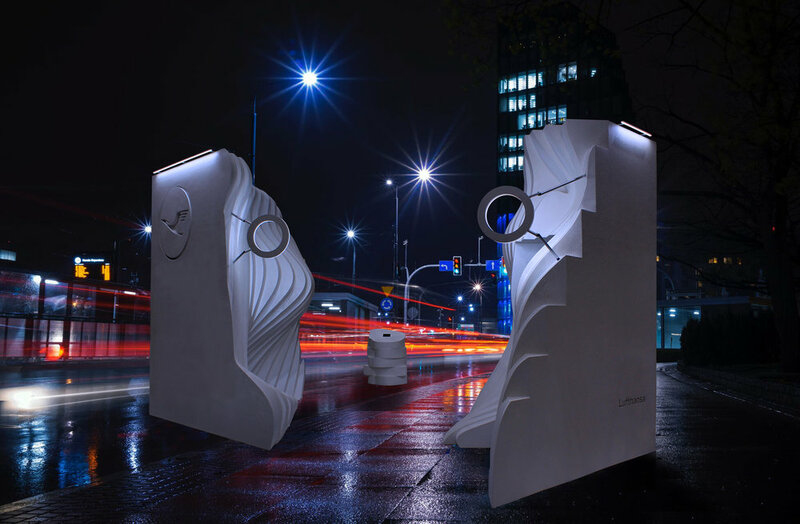 Into the Clouds - a public sculpture commissioned by Lufthansa - invites visitors to walk through a poetic path carved between two stylized clouds. 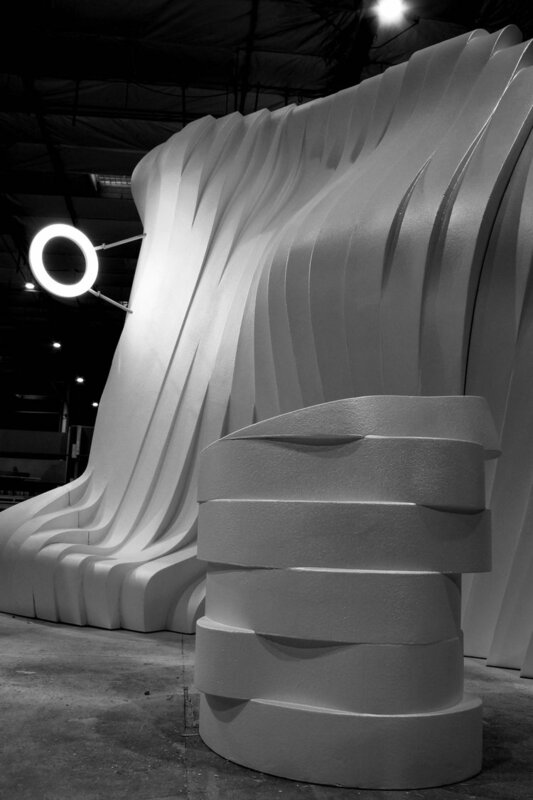 Fabricating by contemporary crafting techniques, and bathed in all-white lighting, the clouds stand as a striking marquee from the outside, and as a tranquil cocoon from the inside. To conceive this installation, designer Sebastien Leon has used a design technique integrating layering and curvature in order to generate each strata, a technique that he first explored when working with architects Jeroen de Schrijver and Ellen Depoorter on a series of tabletop water-cut marble and cardboard sculptures named Moment of Impact in 2006. The installation celebrates the opening of Lufthansa’s new flying routes from both San Francisco and San Antonio to Munich , and invites visitors to enter a raffle to win multiple prizes, including free tickets, by scanning boarding passes through the free-standing interactive kiosk. Into The Clouds also incorporates a window-like vertical video screen showcasing aerial footage of clouds, juxtaposed with three-dimensional animations of the sculpture model, and meditative videos of German citysapes.